One Piece Episode 785 Release Date & Spoilers: As we already know that the Straw Hat Pirates have already met two siblings of Sanji. In the next episode of One Piece anime series, we may them getting a new ally in one of them. 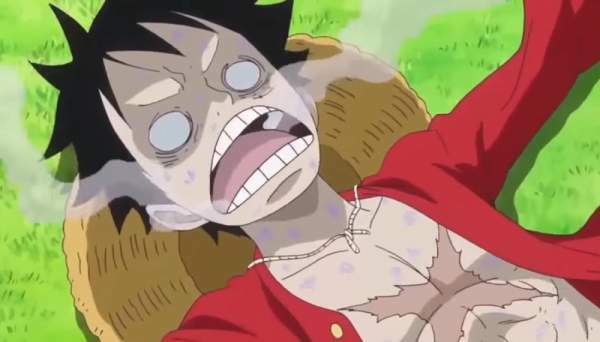 Luffy ate the poisonous skin of a fish and it resulted in him taking in a critical condition. His survival became a concern. He was only able to make it to Whole Cake Island after they got him an antidote as fast as they could. There was just a problem as they were advancing to the Big Mom’s territory. Each island which falls in the vicinity of the territory that raised problems for them. After it, a Germa 66 ship arrived with two of infamous siblings of Vinsmoke. Yonji, the youngest brother of Sanji talked arrogantly to them. Meanwhile, a woman with twirly eyebrows somersaulted into the Thousand Sunny as a sign of apology on the behalf of Yonji. The upcoming segment is titled ‘The Deadly Poison Crisis – Luffy & Reiju’ and will focus on who that woman was. Well, she is found to be Reiju, the sister of Sanji. She appears to be better than Sanji in terms of head and negotiation in a peaceful way. She didn’t think of any ill to the Straw Hats and was only there to check if Sanji is in the Thousand Sunny. Related: One Piece Manga: 863. As viewed in the trailer itself, Reiju will suggest a way for the poison cure to Luffy as the current antibodies have been failing and aren’t curing his body. He needs the perfect antidote to support his life. Except for Sanji, the other Vinsmoke siblings are the product of experiments. Those experiments have genetically enhanced them with formidable abilities. Rumors say that Reiju will help the Straw Hat Pirates in their quest to finish off Big Mom. In the promo video, it can be seen that Reiju is breathing poison out of Luffy’s body. It will be interesting to see the new ability of Reiju in One Piece 785. What do you think it will be? How will she cure Luffy? Will it endanger the Reiju’s life as well? The One Piece series is heading towards its supposedly last, the Whole Cake Island arc. The team will defeat Big Mom eventually. They are on a voyage towards the Charlotte territory. One Piece episode 785 will air on Sunday, April 23, 2017, at 9:30 a.m. JST on Fuji TV. Stay tuned to TheReporterTimes for latest anime series‘ news and Entertainment updates around the world.